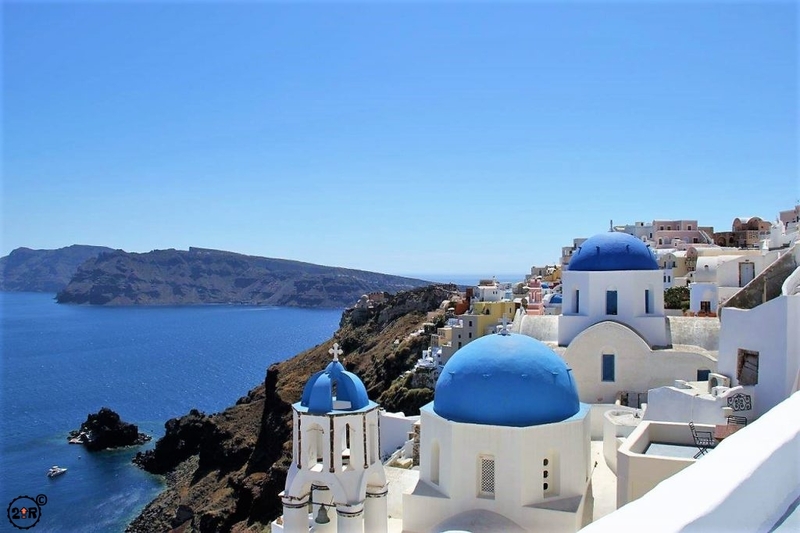 Santorini is well known for its white buildings and blue domes set against a backdrop of a blue sea and even bluer sky. As we arrived to Santorini by ship, we rode the bike off and began our ascent to the top of the island. Where we arrived, obviously at sea level, was the beginning of our 1,000-foot climb up the cliff face to the top of the island. After many switchbacks and dramatic sweeping views of the arced island, we arrived at the top. 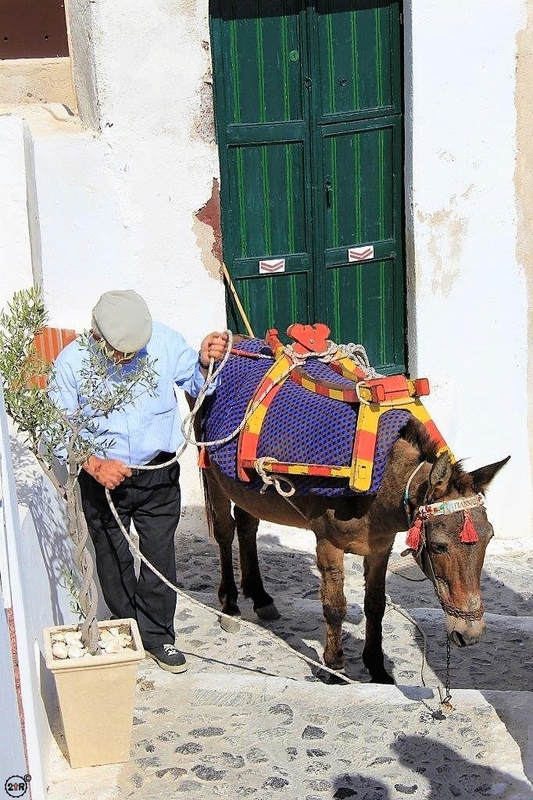 We rode along the top of the island for quite a few miles before we ended at the small town of Oia at the end of the island. There we parked the bike and grabbed a few items that we needed while we searched for a place to stay. We ended up, after looking at a few apartments, at one of the best we could have hoped for. 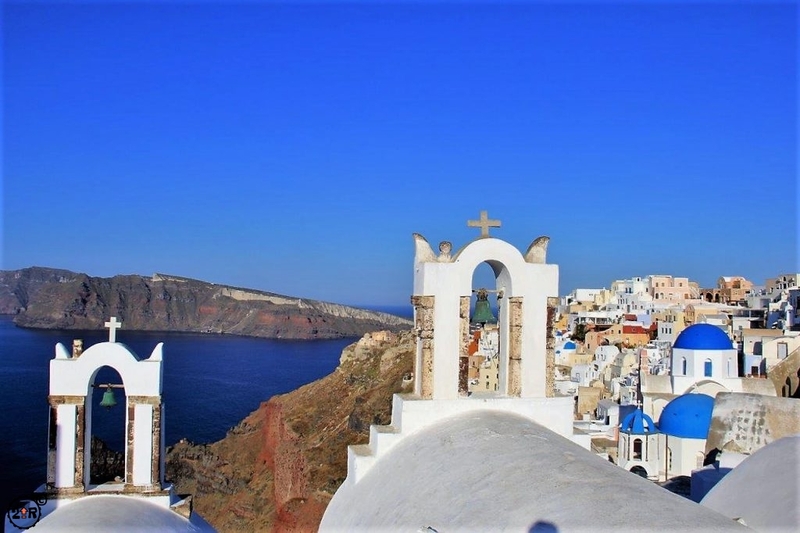 It was a little one bedroom apartment that seemed craved into the rock, but the best part was its location right next to one of the three blue domes buildings that are in nearly every tourists camera and every postcard of Santorini. We totally lucked out. Forevermore when we see the 3 domes in a photo, we can say “we stayed right there!” Our veranda gave us a closeup view of one of the domes as well as views of several others, the sea below, and the town of Thera clinging to the cliff side in the distance. The perfect spot! Walking the narrow “streets” of Oia and Thera is awesome. So much hustle and bustle and at every turn there seems to be a picturesque view. 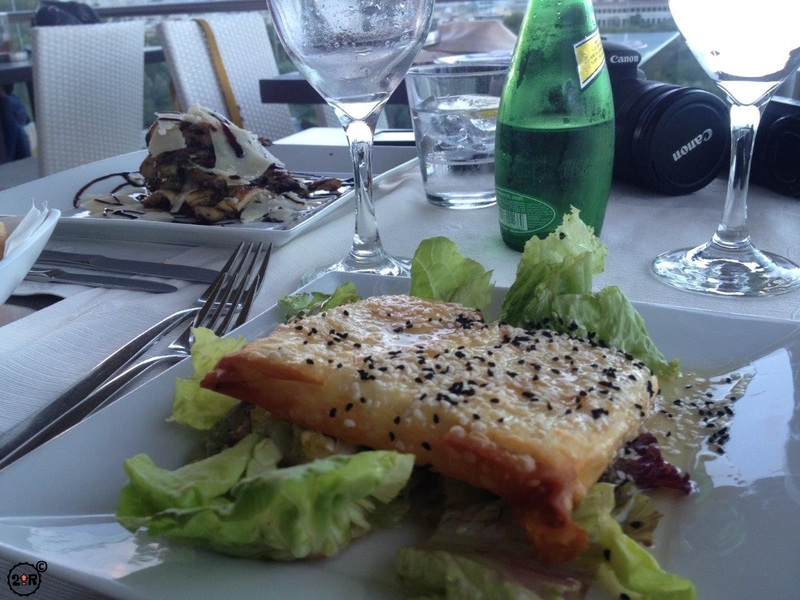 Restaurants about and it’s hard to find one without a great view and/or ambience. All the cafes and stores allow you spend all day just wandering without seeing the same thing twice. As you may have noticed, one of us is a geologist and I like to give a different perspective on the places we visit if there’s a reason. Santorini is not well known outside of the geologic community for its explosive (literally) geologic past. 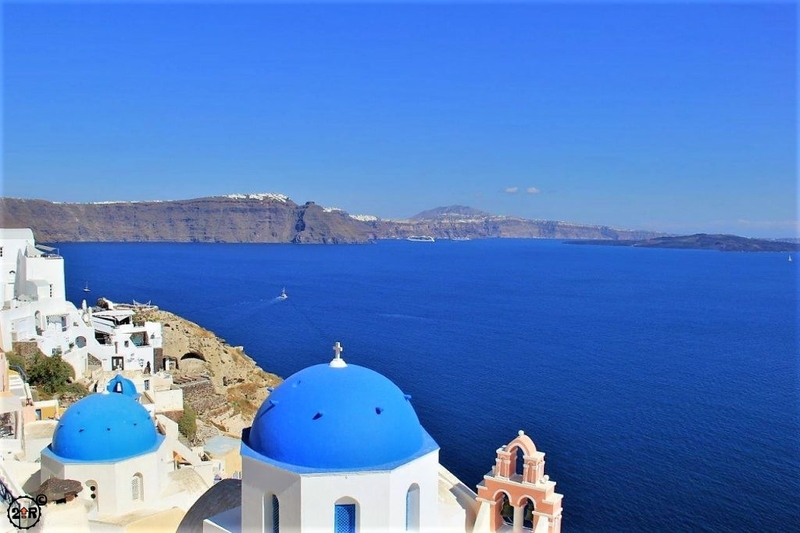 Santorini and the smaller island of Thirasia are actually the remains of the giant caldera that was formed after the eruption. It’s a volcano that is part of the South Aegean volcanic arc formed by one tectonic plate being pushed underneath another plate. 3,600 years ago, the volcano exploded in a massive eruption that is one of the largest in human history. Not only did it destroy most of the island in the process, but it generated a huge tsunami that destroyed the Minoan civilization on Crete. On the volcanic explosivity index, or VEI (kind of like the Richter scale for volcanoes) the eruption registered as a 7 out of 8. For perspective, the eruption of Mt. St. Helens was a 5 and Mt. Pinatubo and Mt. Vesuvius (Pompeii) were a 6. The most recent eruption in Iceland that got a lot of news was Eyjafjallajokull. In 2010, the eruption disrupted European air traffic for weeks. That eruption was a 4 on the VEI. 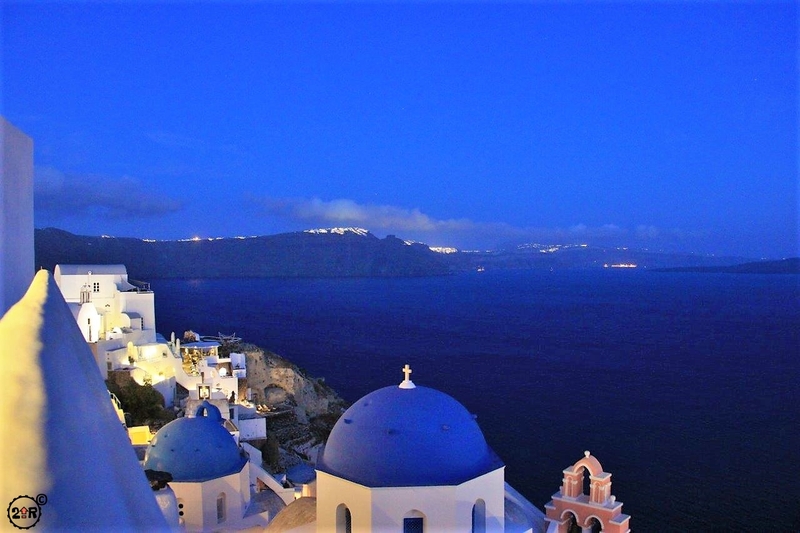 The eruption of Santorini (then known as Thera) shot 24 cubic miles of rock and ash into the air, more than 36 times the size of the eruption of Mt. St. Helens in Washington State and 10 times larger than Mt. Pinatubo in the Philippines in 1991. The eruption almost completely destroyed the island. 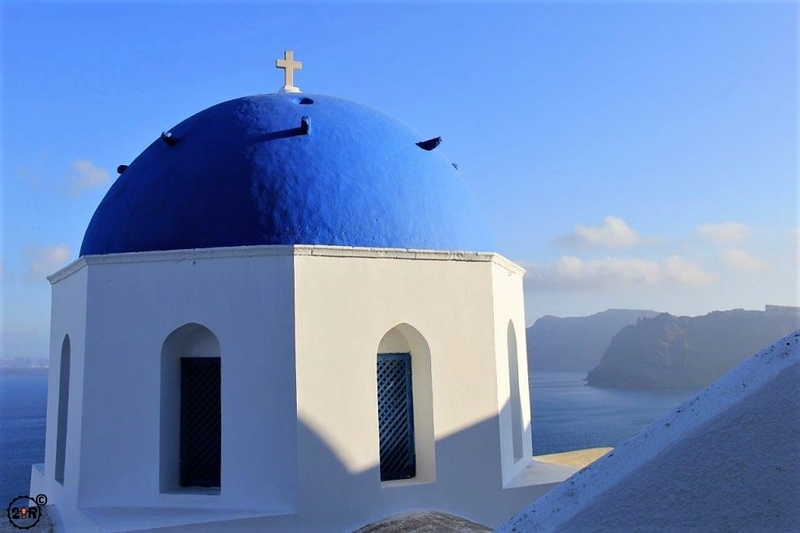 What you see when you visit Santorini is just a portion of the outer ring of what was a once a circular island. The smaller island of Thirasia is another portion of the ring. 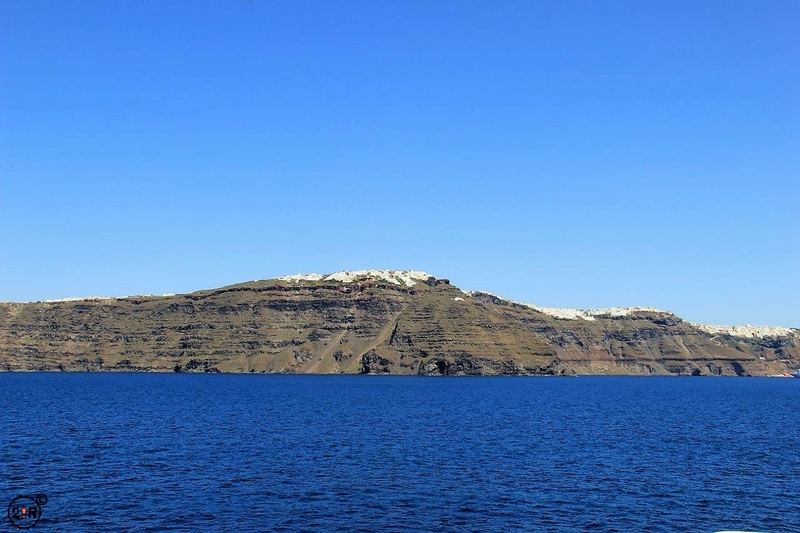 Inside the ring of Santorini is a small sea, the collapsed caldera of the volcano, created by the explosion. The small island of Nea Kameni in the center of the sea is the center of the volcano, which continues to regrow to this day. Just a man and his mule on the way to pick up goods. delivery the old fashioned way. The town of Thera from the ship as we arrived. A view to the other island Thirasia from the town of Oia. Notice the different colored layers of rock? Those are from different eruptions. 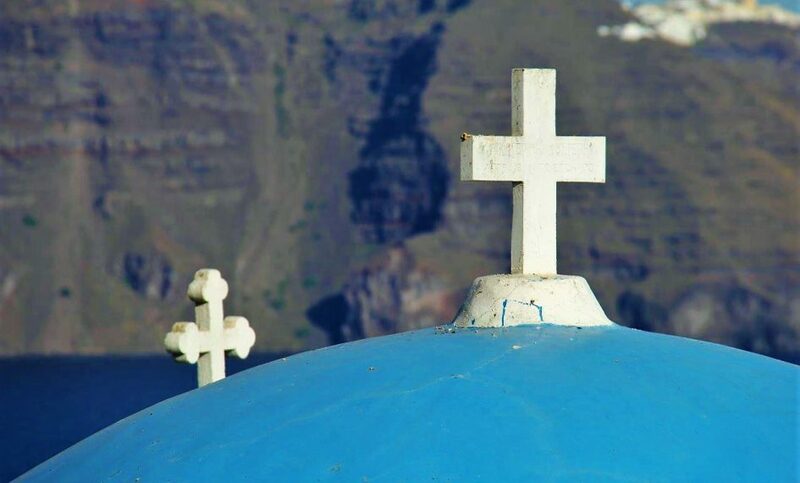 The classic view of blue domes in Oia Santorini. Our apartment was just to the right of the right dome in the background. View from our apartment. Lucky dogs! 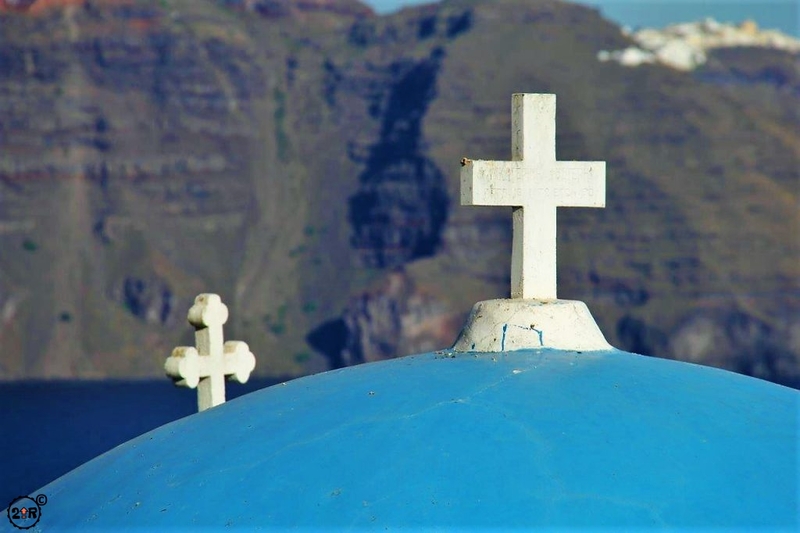 We had a close up view of one of the domes from our veranda. 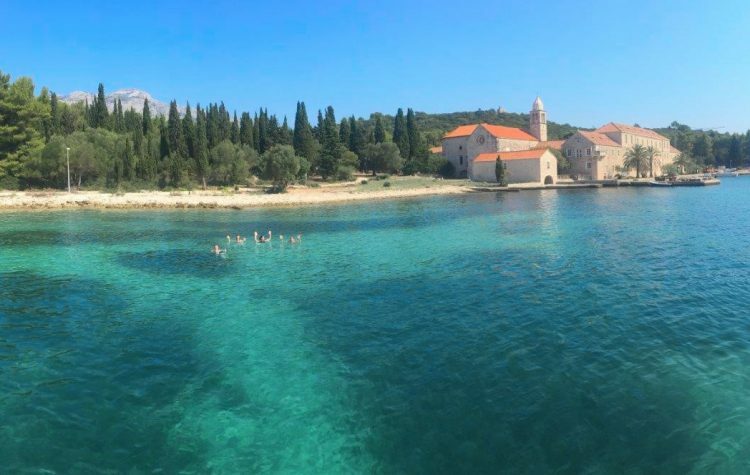 We always dreamed of renting a sail boat and sailing through crystalline waters. 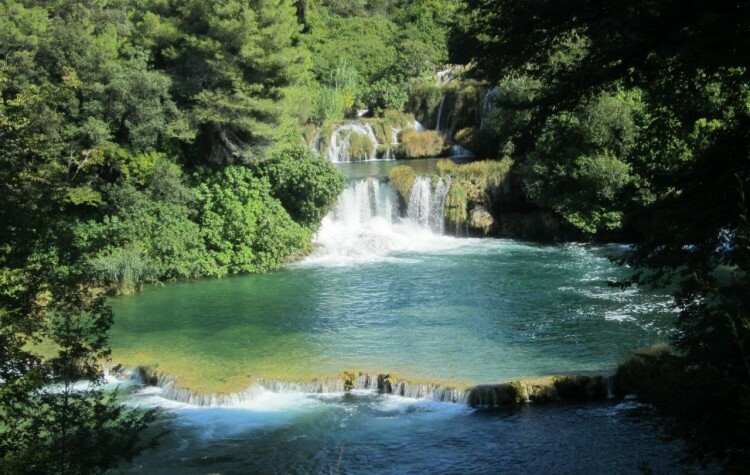 We never imagined that the first time we would do this would be along the Dalmatian Coast. 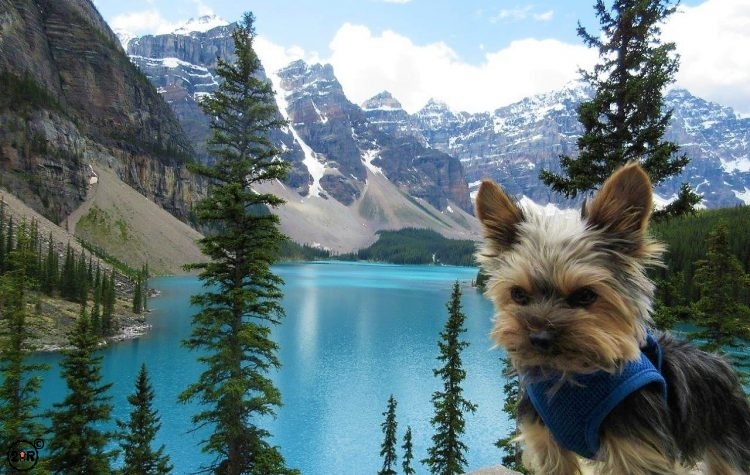 Moraine Lake in Banff National Park Probably one of the most photographed places in the Canadian Rockies, if not the Rockies altogether. It’s a must see!